Officially called the Federal Republic of Germany; Germany is in North Central Europe. 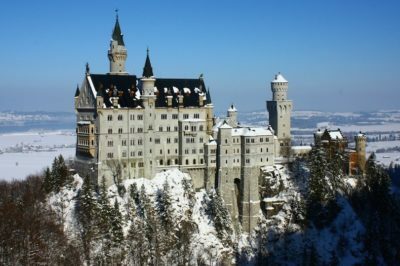 It is a one of Europe’s largest countries with a range of landscapes: from the tall, sheer mountains in the south to the sandy, rolling plains in the north, the forested hills of the urbanized west, and the plains of the agricultural east – Germany is renowned for visual arts, literature, folklore, and song. 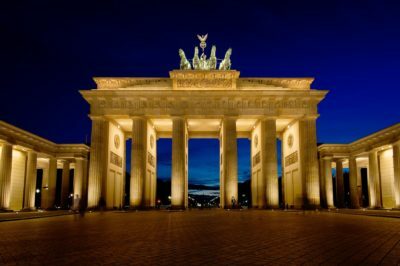 Endowed with creative and logical bent of mind, Germans are a proud, industrious and self-sacrificing people, predisposed to making the impossible possible, with hard work and a public demeanor which is assertive but accepting. 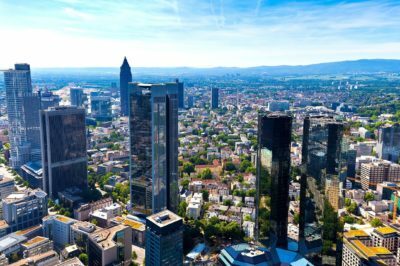 It is the largest and most economically prosperous country in the European Union and the fourth largest economy in the world offering its citizens a high standard of living and a low crime rate. With unemployment at its lowest level and the opportunity to fill over 2.5 million job vacancies. Germany’s growing importance in international education is evident by the fact that it is a top destination for foreign students and attracts about 5% of the world’s international students. Germany’s higher education institutions are of global standards and German degrees are recognized world over. Though, SAT and GRE are not mandatory, bachelors, master’s and MBA courses are also taught in English. However, students are encouraged to learn German to fully appreciate the value of the course and successfully integrate into German society. German education is based on a dual system, which combines theoretical classroom instruction with practical training, embedded in a real-life work environment, making students industry ready on completion of their course. The German government has made the internationalization of higher education a strategic objective. It encourages better integration of foreign students through educational scholarships, lower tuition fees and better immigration policies – offering education to International students at the same subsidized fee that its domestic students pay. 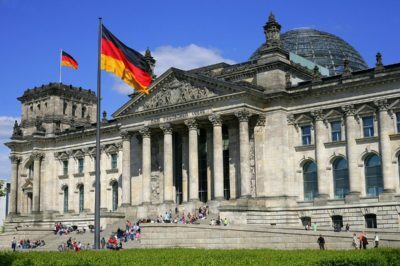 While the European “Blue Card” gives qualified international graduates of German universities a pathway to permanent residence and access to the markets of most EU member states. Additionally, cost of living in Germany is lower that other European countries. Here, monthly expenditure can be as low are €600, that is approximately INR 40,000/-. And, students can work for up to twenty hours a week, earning €8-10 an hour, to support their cost of living. International students can avail an 18 months job search visa and can apply for permanent residence after 5 years of studying and working in Germany. Additionally, Germany shares excellent trade and political relationship with India, making it comfortable for Indian students in Germany. 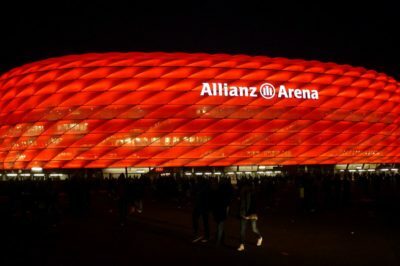 Germany is a highly sought-after higher education destination, offering world class education. Germans reward hard work where both, the country and government provide benefits for students to pursue their studies successfully, through scholarships. Research is well supported and students with good research ideas are offered scholarships and support from faculty for their research. Moreover, if the research benefits industry, then organizations and government are always willing to foot the cost of the research, making Germany a knowledge pool of researchers and scholars across disciplines. 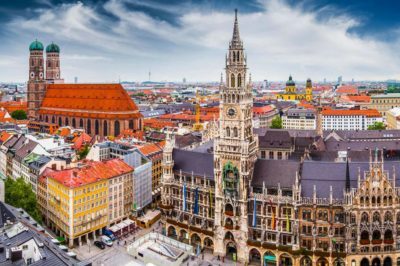 Germany offer a range of higher education programs to choose from based on your interests and goals. The cost of higher education can vary depending upon choice of institution and program. While universities offer on-campus accommodation, students have the option to share accommodation and amenities to save cost of living or opt for home-stay with a family where you have your freedom and the security of a family. Public Universities are state funded and charge about €500, while private universities can cost around €5,000+ a year. Living expense of €8,640 which includes rent, food, insurance, transport & entertainment is required to be deposited into a blocked account before departing for university. International students are free to pursue higher education either in English or German. However, foreign students are required to complete English proficiency test in the form of IELTS, TOEFL or PTE. Different courses require different levels of language proficiency. It is best to refer to the requirements of the University the student wants to study in. The quality of education institutions in Germany is well-recognized world over. Students get an open work permit on graduating from a minimum of 1 to 3 years (depending on course duration). Students can work up to 20 hours a week to meet the needs for their living. Well-developed transportation systems make it easy to commute within the city. At EduOptions Abroad we provide complete advice on all your study options to help you make the right selection. Contact us for our counsellors to call you and guide you to a university that is best suited for you or to enroll for the IELTS course, that we are an authorized center for. 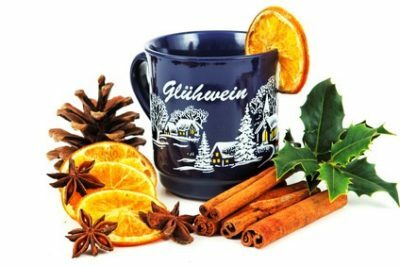 Prominently placed in Central Europe, Germany is bordered by the North Sea & the Baltic Sea on the North and shares its boundary with 9 countries, viz. Poland, Czech Republic, Austria, Switzerland, Luxembourg, France, Belgium, the Netherlands & Denmark. It is Europe’s Largest economy, a thriving nation and one that has ample opportunity to exhibit its leadership. The capital is Berlin, though Hamburg, Frankfurt, Cologne & Munich cities are also well known. The official language is German. The climate is mostly temperate, ranging from 22- 33°C in summer and -15 to 3°C in winter. The months of May to September have milder weather and are popular amongst those interested in outdoor activities. However, it can rain anytime of the year. 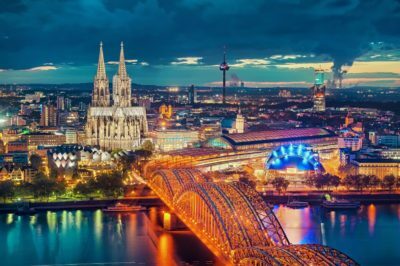 Being the sixth largest country in Europe area-wise, it would be safe to say though, that the weather in Germany is as varied as its landscape – with its coastal areas, lake studded lowlands, forests and mountains. 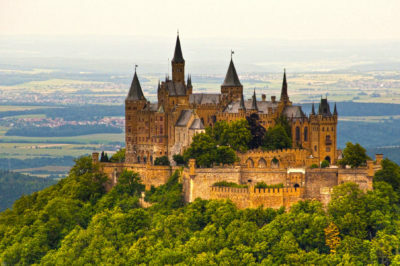 Germany is a tourist’s paradise, boasting of several famous tourist spots. 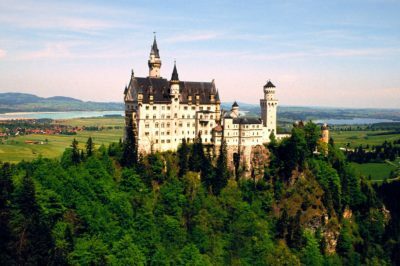 Of these, the Berlin Wall, the Neuschwanstein Castle, the River Rhine are most visited. 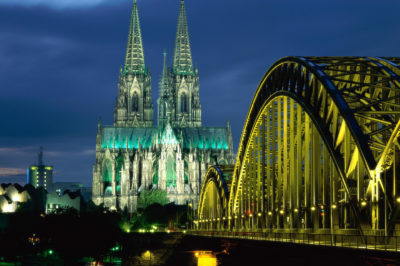 Germany is also known for its beautiful Churches, various Museums and Beer Gardens.